Engine shuddering, hesitating, lacking power, stalling, activation of the “Transmission Overheat” warning light, activation of the “Check Engine” warning light, or grinding. Are you thinking about making a lemon law claim? The California Lemon Law is an important tool for consumers who purchase defective vehicles. Your car is the second-largest purchase you will make and is likely your primary means of transportation for getting to your job. Therefore, if you think your 2017 Ford Fusion is a lemon, do not let your local Ford dealership try to convince you that there is nothing wrong with the car, or take them up on an offer to “buy back” your vehicle. Putting you in a new car at the same payment with no money down is TOTALLY DIFFERENT from a true Lemon Law buyback. The only entity that can truly buy your car back from you under the California Lemon Law is the automobile manufacturer. A dealership may offer a “buy back” and they may even tell you that they are “buying your car back” under the lemon law, but the dealership does not typically have that ability. What the dealership is usually doing is a dealer assisted trade-in and this solution does not give you all of the benefits of a lemon law repurchase. Are you prepared to make a lemon law claim? How much does to cost to file a lemon law claim in California? Under the California Lemon Law, the automobile manufacturer is required to pay all reasonable attorney’s fees and costs to your attorney if your attorney wins the case. 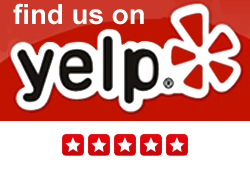 To date, The California Lemon Law Group has a 100% success rate. Some unscrupulous lemon law attorneys will charge you up front for their services. In addition, some lemon law firm retainer agreements say the firm will never charge a client for incurred attorney’s fees, but the client is solely responsible for all attorney’s costs including filing fees, process serving fees, jury fees, postage, travel, paper copies, fax copies, seeking assistance of private investigators, automobile experts, etc., even though these costs are 100% recoverable from the automobile manufacturer. Our office does not charge anything up front and we do not take a percentage of what you are entitled to under the law. 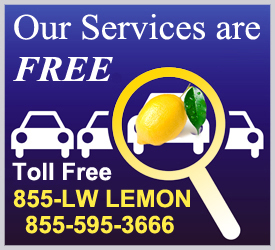 for a free Lemon Law case evaluation.